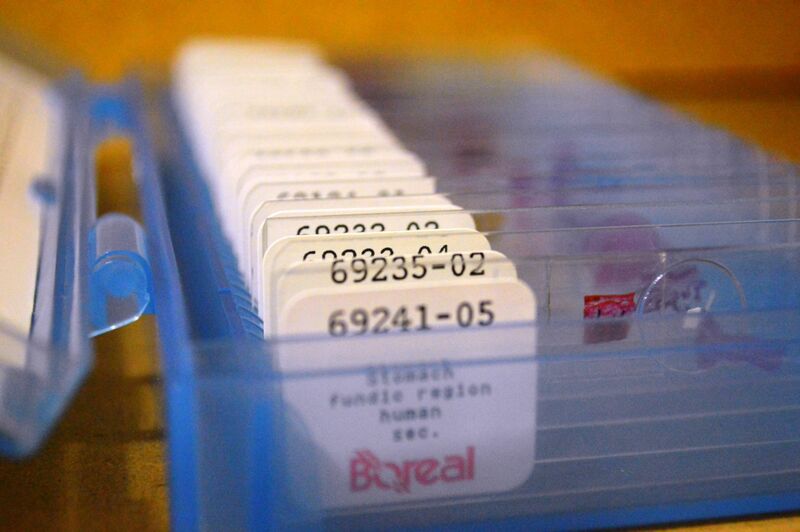 This slide set is a perfect way to help understand mammalian bodies. 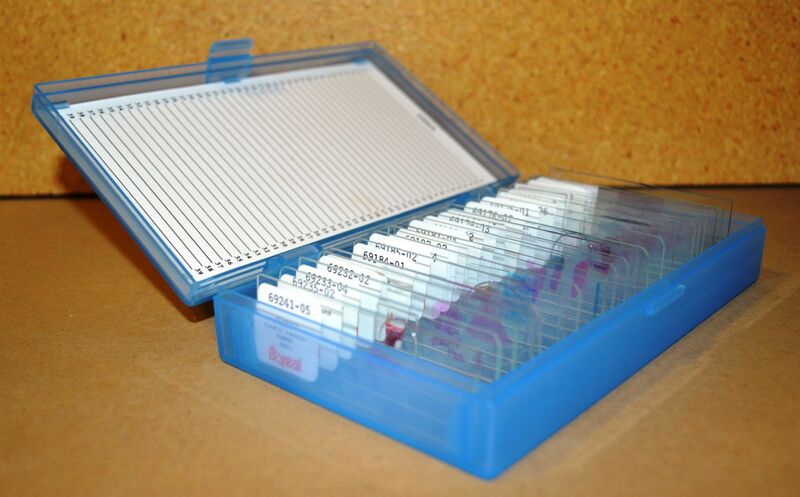 You will receive 22 unique, hand-crafted, slides from our lab that are perfect for any student. 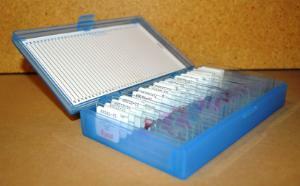 The slides are organized and sent in a durable, plastic box for safe protection. 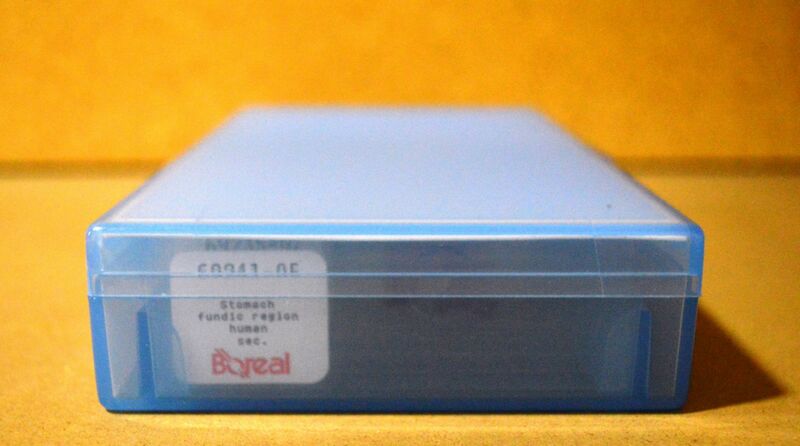 Ordering information: Set includes Stomach Fundio Region (sec); Bone, Ground (cs); Scalp (cs); Colon (sec); Thoracic Spinal Cord (cs); Kidney (sec); Lung (sec); Cerebrum (sec); Cerebellum (sec); Medullated Nerve (cs,ls); Liver (sec); Salivary Glands (sec); Taste Buds (sec); Artery Vain and Nerve (cs); Cartilage (sec); Developing Long Bone (sec); Adipose tissue (sec); Human Skin (White) (sec); Striated Muscle (cs,ls); Heart Muscle; Human Blood (sm); Non-Human Intestine (sec).